Tube of choice: I'm using "Celina" by Alexander McMillan from SATC. Open paper 8 and duplicate. Apply Mask and merge group. I used mask 0136 by me. Copy and paste your tube as a new layer. I remove some of the bottom off my tube with my selection tool set to rectangle and feather of 30. Move tube to the right side of tag. If you have a large close up image of your tube, copy and paste it as a new layer. Mirror and position over your mask. Click on your bottom mask layer. Go to Selections, select all. Go to Selections, float. Go to Selections, invert. Hit delete on your keyboard. Go to Selections, select none. Grab your preset shapes tool, set to Ellipse. Background color black, foreground color null. Copy and paste element 14 as a new layer. In layers palette this should be below your tube close up. Click on your your tube close up now to activate that layer. Copy and paste element 44 as a new layer. Re-size by 75%. Free rotate the element to the right by 50 degrees. OK now we are going to add a layer to prepare for our coming animation placement. Using your preset shapes set to rectangle, choose a color for your background and foreground is null. My square is 244 x 266. You can always open a new image with those dimensions and flood fill with a bright color. Copy and paste it on your tag and place at bottom, in between element 44 and your tube. Our animation will be going there, so the color will remind us to not place any elements over this area. Double click on this layer in your palette. Properties box will pop up. Place a check mark beside "Highlight in layers palette" and choose a color of choice. When the time comes to animate we will be referencing to this layer. Copy and paste element 109 as a new layer and re-size by 40%. Position this over the box you just created and convert to raster layer. Add drop shadow and drag below the box layer. Copy and paste element 126 as a new layer. Re-size by 40% and position to the left side behind the box layer you just made. Duplicate and free rotate by 45 degrees. Position at top of tag and to the right, behind your tube. Duplicate original branch at move this layer above your tube layer near right lower hand side. Copy and paste elment 130 as a new layer and re-size by 64%. Move to the lower right hand side and add drop shadow. Copy and paste element 118 as a new layer and re-size by 70%. Position over the leafy branch down on lower right hand side and beside the bomb. Copy and paste element 83 as a new layer and re-size by 35%, add drop shadow and move to the left side. This layer should be just above the box layer you created earlier. Repeat for element 101. Position at bottom of tag in center. 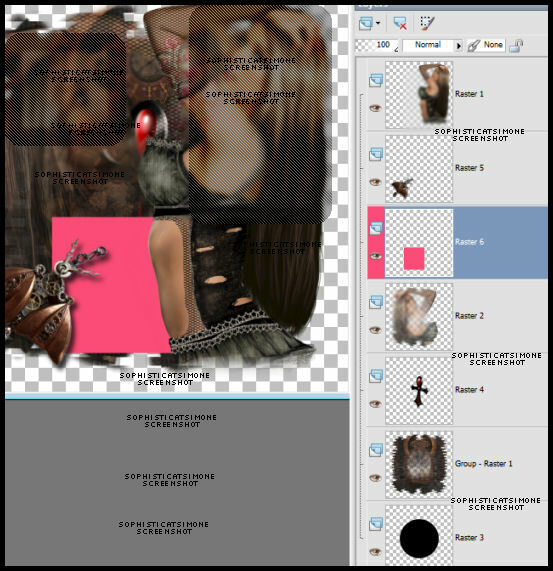 Copy and paste element 113 as a new layer and re-size by 25%, add drop shadow and move to the bottom left hand side of tag, under the wing like element. tag) and place the other one middle top of your box. Drop shadow each. C/P element 106 and re-size by 15% and duplicate. Place one at bottom of tag by the googles and one mid tag on the left side. 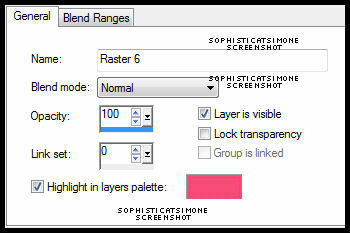 Add D/S to both layers. C/P element 114 as a new layer and re-size by 20%. Place along your box on the left side. Duplicate and free rotate by 90 degrees to the right. Position along the top of your box, and below the other pipe layer. 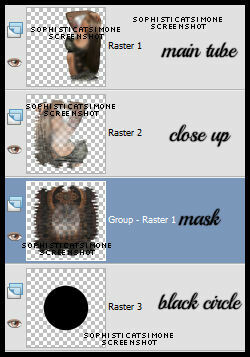 Add drop shadow to both layers. Add anything else you want on your tag at this time. I added element 42, 10, 5 and 15. 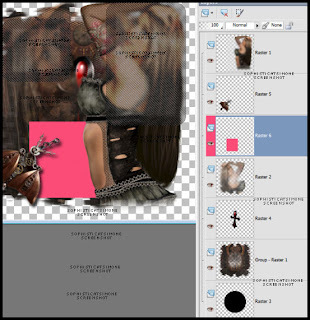 Activate your top layer and using your text tool, add your artist copyright. Activate the layer below your box layer/colored layer and merge them down till you get to the bottom. Go to Selections, select all. Go to Image and copy. Position on your tag and click into place over the grill square. Go back to PSP and X-out your bottom layer and the square layer. Click on any of the other layers, make sure you still have your tag selected (Selection All). In AS right click and paste as a new animation. Activate your tag. Go to Edit, Paste, paste into selected frames. You may have to move it slightly with your cursor. Once happy just click on your tag. Now I added another animation called SimoneAni-Steamy-006withShadow-PSD. Open this animation, go to Edit and select all. Go to Edit and copy. Activate the very last frame on this animation so your frame becomes blue. Right click in that frame and select, Paste after current frame. Now scroll the animation out so you see all 16 frames. Delete frames 2, 7 and 12 using your Ctrl button on keyboard. I placed that one at the top. Next on Steamy-006withShadow animation, I mirrored it. I placed that one on top of winged element in bottom left hand side of tag. Re-size your tag by 85%, Smart Size checked. Add your name and save! I used the font Ornatique by designstation. For glitter look I put 100% noise. To animate it, I changed the noise to 100, 99 and 98. 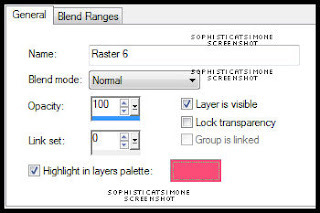 Tutorial written by SophisticatSimone aka Lorraine Halle on Monday June 10, 2013. However, I can't get the steampunk anis, I keep getting hung up on the "box" thing. Keep up the great work, and know that you are appreciated!